The BIGmatic 16½’’’ is big by name and by nature. 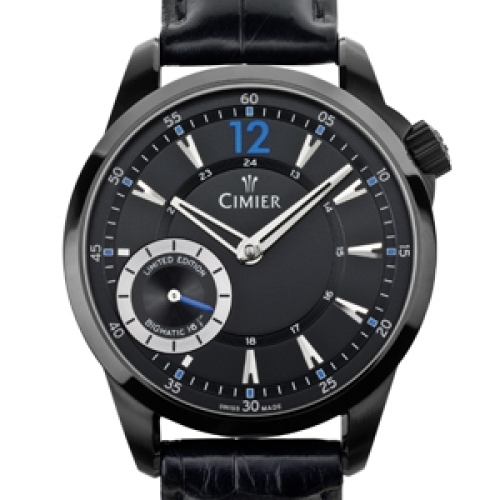 For its latest creation, Cimier wanted a timepiece driven by a large automatic movement, on a par with its ambitions. 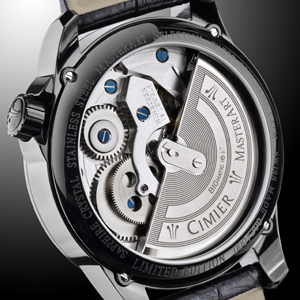 Mission accomplished with a Unitas 6497-1 hand-wound calibre, originally for pocket watches, which Cimier has combined with an in-house automatic module. The transparent back offers a generous view of these imposing mechanics. 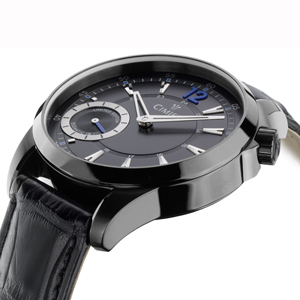 The subdued dial permits no colour fantasy, except for some finely honed touches of blue on the hourmarkers and seconds hand. Small seconds at 8 o'clock trace a diagonal with the crown at 2 o'clock, the two perfectly poised between sobriety and sophistication. 200-piece limited series.